Product prices and availability are accurate as of 2019-04-17 21:52:18 EDT and are subject to change. Any price and availability information displayed on http://www.amazon.com/ at the time of purchase will apply to the purchase of this product. ?Condition?GPC Image compatible toner Cartridge replacements for TN 221 TN225 toner which have been awarded ISO9001 certification. Bring you clear text, vivid color and is incredibly close to the genuine cartridge. 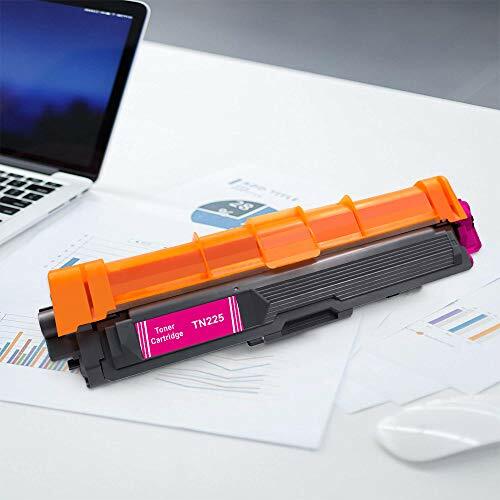 ?High Pages Yiled?2,500 Pages for (1) TN221 black toner cartridge and 2,200 Pages for (1) TN225 color toner cartridge at 5% coverage (Letter/A4), High Yield) save your money 75% compared with OEM cartridges. ?Compatible Printers?For Brother Color DCP-9020CDN HL-3140CW HL-3142CW HL-3170CDW HL-3180CDW HL-3150CDW HL-3152CDW HL-3172CDW MFC-9310CW MFC-9330CDW MFC-9340CDW MFC-9140CDN Laser Printer ?Package Includes? 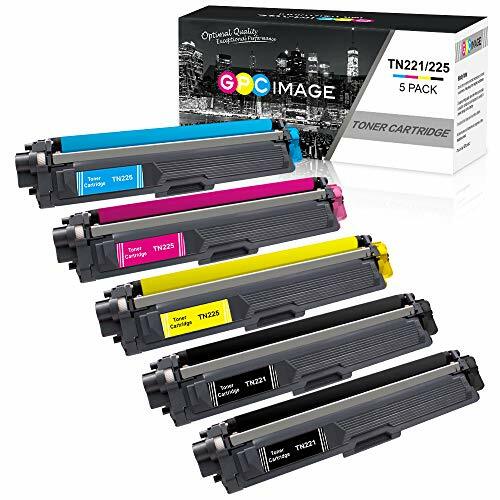 (2) TN221 Black Toner/ (1) TN225 Cyan Toner/ (1) TN225 Magenta Toner/ (1) TN225 Yellow Toner + (1) User Guide ?100% SUPPORT?Outstanding 90-day money-back guarantee & lifetime warranty. If any question, please contact us directly via the "Ask Product Question" option on your order. GPC Image will reply you in 24 hours.